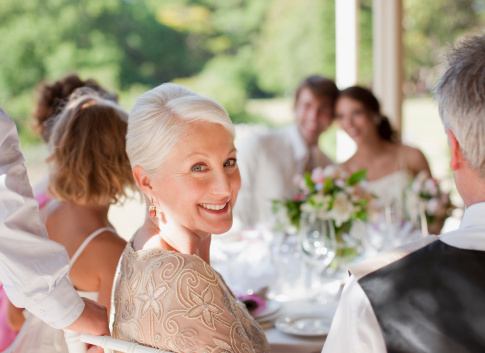 Tricia Cusden, founder of the pro-age beauty brand, Look Fabulous Forever , gives her tips on planning your wedding day makeup as mother of the bride or groom. There are certain times in life when we really want to look as fabulous as we can, and a wedding in the family is definitely one of them! 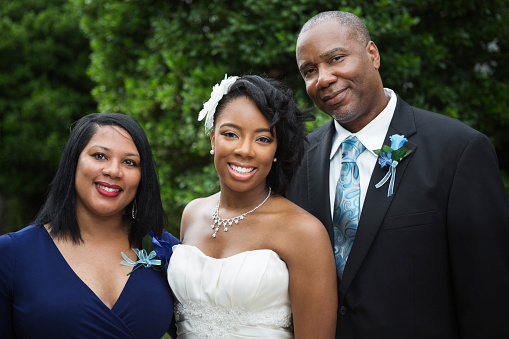 I have been lucky enough to have participated in two wonderful weddings when my daughters got married. I knew that I was going to have a prominent role as the Mother of the Bride, so I decided that I might as well really enjoy planning my outfit and ramping up the glamour when it came to my makeup. On the day itself you will find that time flies by and before the ceremony you will probably be very busy helping with preparations and lending appropriate support to your daughter or son. Make sure that you leave time to get yourself ready too, so that you don’t find yourself frantically slapping on a bit of makeup at the last minute. I’d suggest allowing a minimum of 30 minutes to ensure that your face looks good from the moment you apply your makeup, to the moment you remove it before falling into bed at the end of a long and happy day. 1. About two months before the wedding, start a skincare regime to ensure that the ‘canvas’ onto which you’ll be applying your makeup is in great condition. Use exfoliators and moisture masks weekly and cleanse and moisturise thoroughly night and day. 2. Choose makeup colours which work with your outfit and plan accordingly. 3. We have lots of videos showing various techniques and the effects you can achieve with our products if you are an older woman. This ‘Makeup for Older Women: Mother of the Bride or Groom’ video will give you step by step guidance. 4. Practice makes perfect so decide on the ‘look’ you want to create and try it out several times beforehand. Make sure that the makeup compliments your outfit, especially if you are wearing a hat. 5. The biggest challenge on the day will be to keep your makeup looking good for hours on end. The best way to achieve this is to use face, eye and lip primers. 6. On the day of the wedding, assemble your ‘kit’ consisting of makeup, brushes, tissues, cotton pads, cotton buds, tweezers and eyelash curlers. If you will be away from home on the wedding day, then make sure that you also pack a mirror on a stand with a normal and magnifying side. Mirrors in hotels are often badly positioned for applying makeup! 7. Use brushes to apply all your makeup and blend, blend, blend. Especially at the jawline, hairline and when applying eye makeup. 8. Looking more fabulous and glamorous is not about applying a ton of makeup with a heavy hand! It’s a question of taking the time and trouble to apply some beautiful products which enhance your looks and create a really stunning finished effect. Discover pro-age beauty brand, Look Fabulous Forever at our ExCeL show this weekend (13-14th April) on stand K32.